To create your first PURL Campaign with Purlem you'll need a hosting account and domain name. Or you can click the image below to get started. Choose any plan that works for you. The "Economy" plan will work just fine with Purlem. Make sure the Linux operating system is selected. 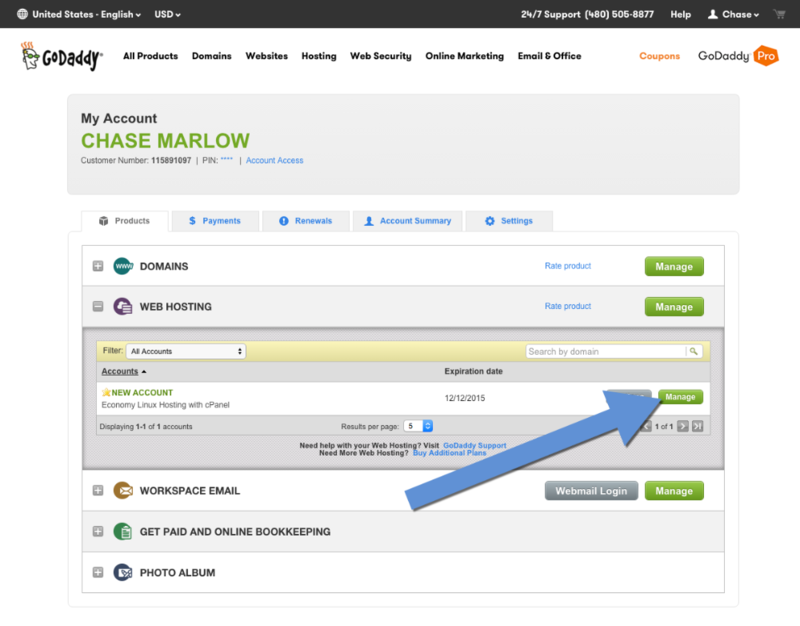 You'll be able to modify anything you select on this page before the checkout. Depending on the length of hosting you selected in the last step, you'll have at least two different ways to add a domain name. Search for a domain in the box below the products in your cart. 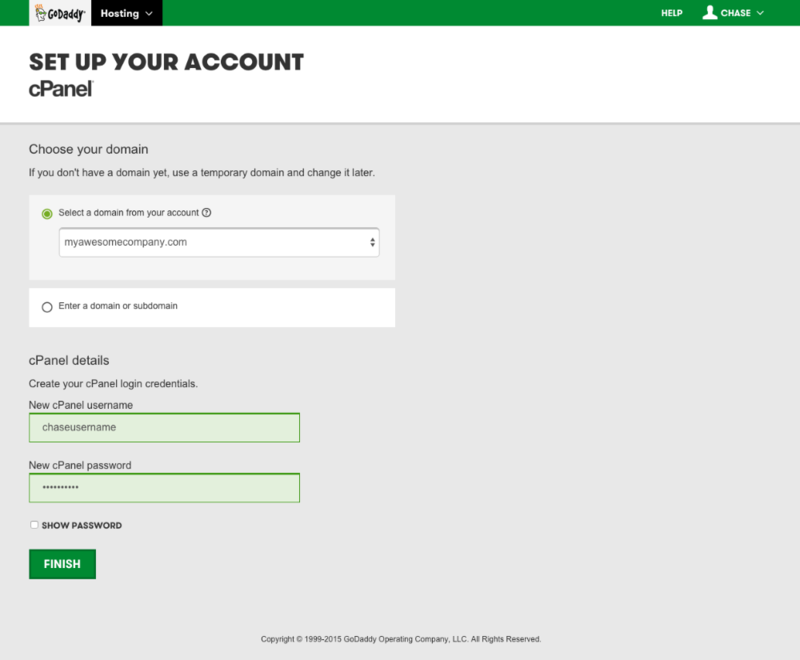 If your domain name is available, you will see a screen similar to the image below. If not, keep searching until you find a domain name that you like. 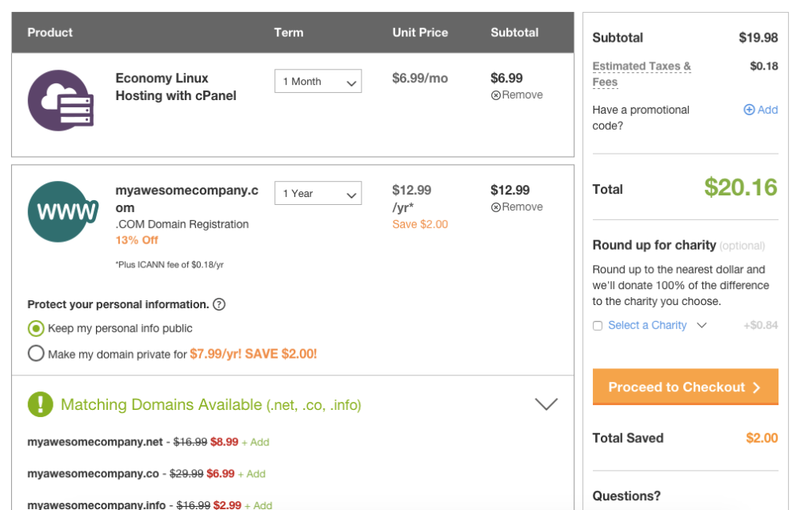 Once you have Linux hosting and a domain name in your cart select proceed to checkout. 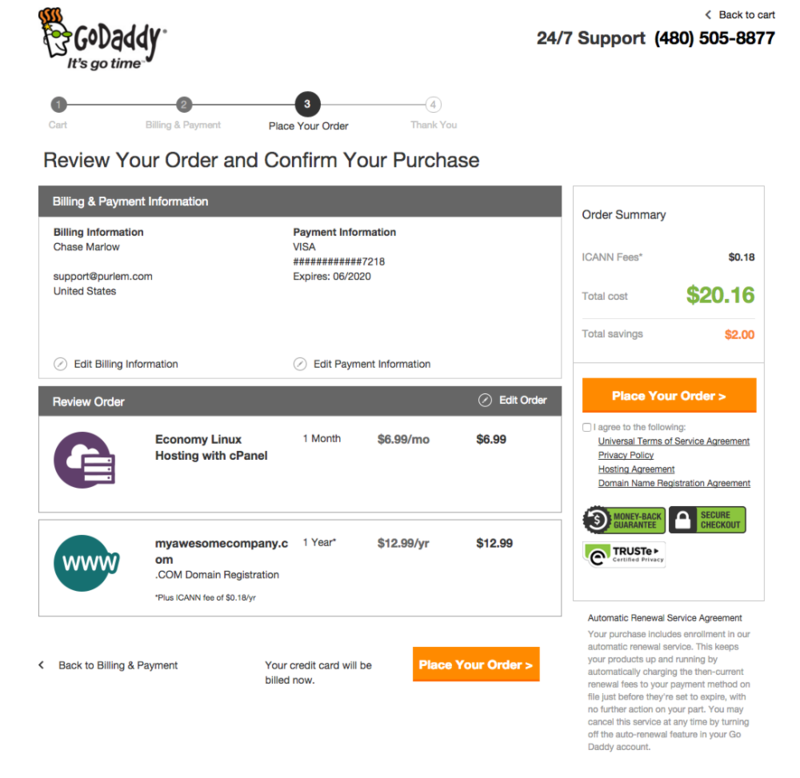 If you don't have a goDaddy account, you'll need to select the button under New Customers and create one with your billing and payment information. Click your name in the top right corner to open a drop down where you'll be able to access your account. 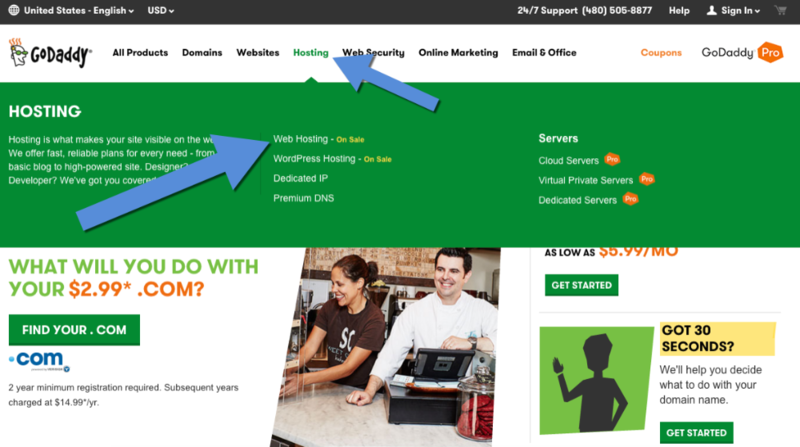 Expand "Web Hosting" to see your web hosting server. 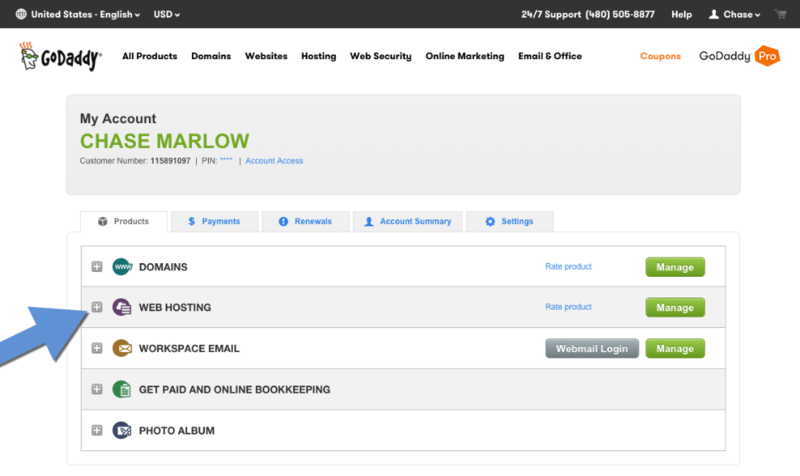 Click manage to access your web hosting server. Select the domain from your account and create a new username and password specifically for your web hosting server. The setup may take a minute or two. 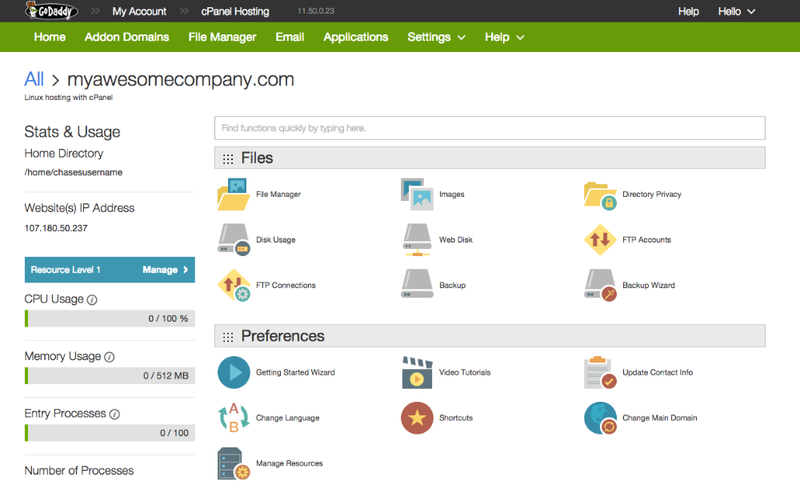 Once finished, you'll have access to your web hosting server and your setup will be complete. You should be able to create a campaign with your new domain name now. If you'd like help, check out: Creating a Campaign with Your Domain.